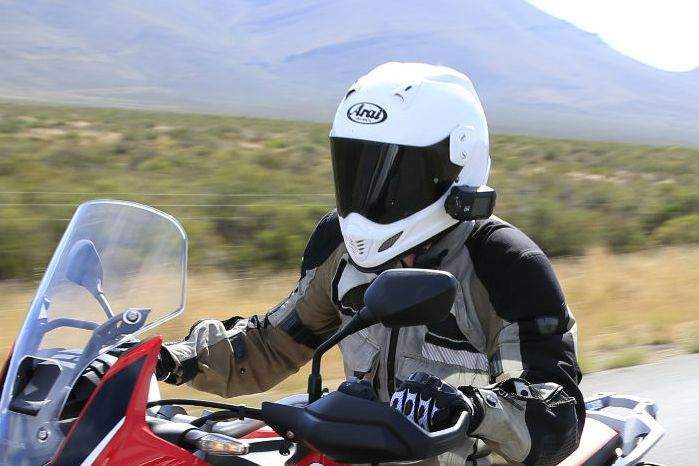 RESEARCH by the Transport Research Laboratory and the BBC has revealed that helmet-mounted cameras my not be as dangerous to the wearer as previously feared. The research, commissioned by the BBC, tried to find out the potential effects that mounting a camera on a helmet might have on its performance in the event of an accident. Impact testing was carried out on a range of climbing helmets (hardshell, hybrid and EPS foam types), in accordance with several testing protocols including EU Regulation 22.05, which is a safety standard for motorcycle helmets. Helmets with cameras mounted at the front, side and top were put through standardised impact testing and energy transference to the head was measured. The results indicate that cameras could be mounted in all three locations without increased risk of head injury. However, the BBC notes that the camera and its mount did cause a slight increase in the transference of force to the head when the impact was applied at an angle, such as in a glancing blow or fall against a surface. Testing would need to be carried out specifically on motorcycle helmets to get a comprehensive answer to whether they are likely to increase risk of head injury in an accident, but this research tentatively suggests that having a camera on your helmet may not compromise it beyond current performance requirements. The testing was commissioned because of increased use of helmet cameras at the BBC, in the light of Michael Schumacher’s skiing accdident in December 2013, when the camera on his helmet was identified as a contributory factor to the injuries he sustained. Is this the worst helmet design ever?